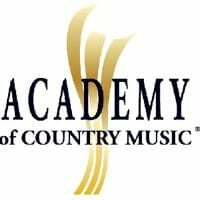 Nominees for the 45th Annual Academy of Country Music Awards will be announced sometime during the week of February 22. Nashville will also be buzzing that week with the annual Country Radio Seminar. ACM reps say the nominations will be revealed during a press conference at the Country Music Hall of Fame and Museum in Nashville. Details about the exact date and artist participation are coming soon. The ACM Awards will be broadcast live from the MGM Grand Garden Arena in Las Vegas Sunday, April 18, 2010 at 7:00 PM/CT on the CBS Television Network. The Americana Music Association has revealed the initial lineup for its annual SXSW showcase, scheduled for Thursday, March 18. The show presented by SESAC and the Utne Reader, will return to historic Antone’s in Austin, Texas and feature performances by Hayes Carll, Elizabeth Cook, Jim Lauderdale, and Grace Potter & the Nocturnals, plus a special guest who will be announced at a later date. SXSW badge and wristband holders will have priority admission to the event. For more information on SXSW Festival and Conference Registrations visit www.sxsw.com. The Americana Music Association is also busy planning its 11th annual Festival & Conference, running Wednesday, Sept. 8 through Saturday, Sept. 11, 2010 in Nashville.